When you think of Paul McCartney from the Beatles, do the words, “father of daughters” come to mind? For most people they do not. Yet, who could forget the now-famous cover of his first solo album, with his daughter Mary peeping through from beneath his jacket. 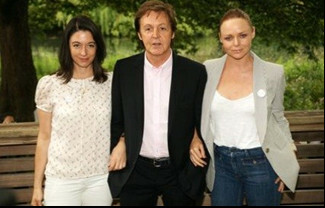 As it turns out, McCartney’s post-Beatles adult life has been dominated by his four daughters. Exactly how these daughters have influenced his music may not be obvious to an outsider. But make no mistake, the impact is there. 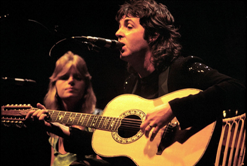 For a pop-star like McCartney who had been pursued by screaming swooning women since he was 17, the experience of suddenly being entrusted with a female to protect rather than to pursue must have been both strange and wonderful. Here’s why. 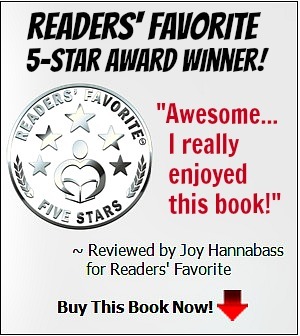 Rarely will a man not mention the emotional upheaval from a daughter’s invasion of his life, and Paul is no exception. Dads often describe the experience as something different from everything he has ever experienced, or imagined. 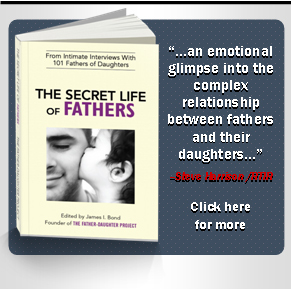 Almost universally, fathers of daughters describe the introduction of a daughter into his life as creating a dramatic shift in how he interacts with people. After all, here’s this tiny person staring into your eyes, studying every wrinkle on your face, listening to every word you speak, watching your every action and reaction. For some dads, this little human sponge taking mental notes of everything you do can be unnerving, dredging up every ounce of insecurity and self-doubt you may have. 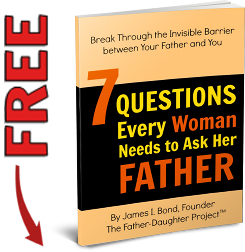 And once a daughter’s old enough to start asking you the bigger questions, especially about your feelings—something many men are not comfortable exploring—if you’re willing to step out on that ledge of emotional engagement, many dads say the experience can be liberating. There’s a release, a permission to be yourself, no matter how silly that may feel. Did Paul McCartney allow his face to be explored by those gentle little fingers? Did he tuck his little girls in at night and sing to them? 1969 was a tumultuous year for the Beatles. After nine years of a stellar rise to the top of the music industry, the never-ending struggles between Paul and his partner John Lennon signaled the end was quickly approaching. If Paul was the heart of the band, John represented its soul. So a band without these two creative geniuses happily working together clearly signaled its demise. If his friendship with John was coming apart, Paul’s personal life was coming together in ways he could not have imagined even a few years earlier. The year before, he met and fell in love with Linda Eastman, a photographer with a six year old daughter, Heather Louise. Paul’s love for them both provided an escape from the conflict-ridden dysfunctional relationship with John, and signaled an opportunity for a more normal life, as a husband and a father, albeit a famous one. And so it went. In March of 1969, Paul and Linda married, with him adopting her daughter. In July the Beatles began recording their final album, Abbey Road. A couple of months later Paul and Linda’s daughter Mary was born. 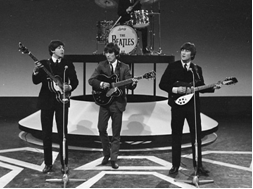 The next year saw the dissolution of the Beatles, although the legal wrangling would continue for almost a decade. 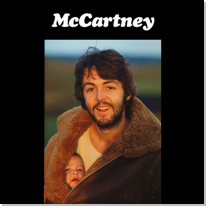 The following year, Paul’s first solo album was released, simply titled McCartney, with that famous photo of his daughter peering from his jacket. In many ways, that photo by his wife Linda captured the unbridled happiness he was feeling, of a father and his daughter, symbolically holding her close to his heart. McCartney the album was mostly love songs, happy and relaxed. This was the dawn of a new era for Paul, perhaps more consistent with his warm personality. Decades later, John Lennon’s sons Julian and Sean would describe their relationship with Paul as closer than with their own dad. For Paul, this was a life defined by his love for Linda and the family they were creating together. With the birth of his daughter Stella the following year, and son James after that, Paul McCartney’s life as a dad seemed to fully overtake his life as a rock star. As a family, they traveled everywhere together. And until Linda’s death in 1998 from breast cancer, they were inseparable as a family. His daughter Stella explains how the fans used to freak her out. Even today, decades after Linda’s death, Paul laments at moments of sadness, remembering the loss of his true love. In an important way, especially through his kids, Linda is not fully lost. Paul has commented at how much his daughter Mary, a photographer like her mother, reminds him of Linda; how Stella, the celebrated fashion designer, and each of his other children, embody elements that remind them all of their mother and the love they all shared. 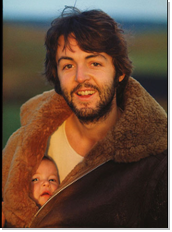 In concert, Paul often includes home movies of his daughter Mary snuggled in his jacket while his adopted daughter Heather gleefully clutches her daddy’s leg. Through these personal moments, the audiences witness an irrepressible love between a father and his daughters, one that starkly contrasts the troubled life of his ex-partner, John Lennon. From the early days traveling to concerts with his kids, to his recent campaign for “Meat-Free-Mondays, a vegetarian cause to honor Linda McCartney, who was an animal rights activist, his daughters have remained a crucial part of his life. While Mary prepares to take the photographs [of her dad and sister Stella for the Meat-Free-Mondays campaign], Paul takes a tiny mouth organ from his pocket and plays as Stella sings along. Mary takes her place in the picture, arranges her dad’s hair which is blowing in the wind, and presses the shutter. So, would Paul’s music have been different without daughters? How might John Lennon’s life have been different if he had daughters?